A postman who found a purse tried to hand into a police station but was told to destroy it. Royal Mail postman Steven Gill found a lady’s purse in a red post box while collecting mail. 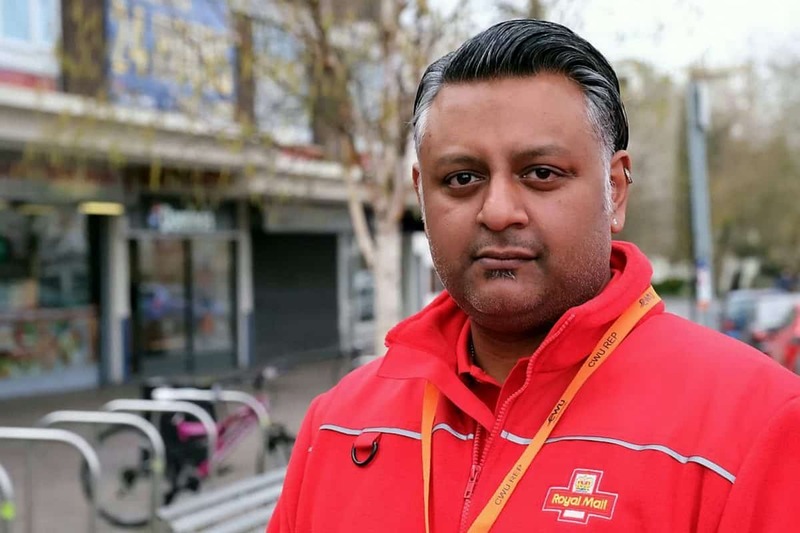 He says it is something that happens often – after thieves dump them in postboxes after nicking them. But the Oxford postie said when he tried to hand it in at St Aldate’s police station he was told budget cuts meant they didn’t take lost property. Steve says cops asked him: Can you destroy it?’. He said: “I was emptying the post box and there was a lady’s purse inside. ”We do get this quite a bit where thieves steal wallets, take the cash and dump them in red post boxes. Mr Gill then took it to the police station, only to be told police would not be able to take it and they had not been providing the service for the past six months. He said: “The officer told me that they don’t have the resources any more to deal with it. The purse is, according to the postman, in ‘mint condition’ and worth £175. Mr Gill, who has been a postman for 25 years and works throughout Oxfordshire is shocked at how the police cannot provide such a basic service especially after the police portion of Oxfordshire’s council tax has recently increased. He said: “The most annoying part about this is that this is the most basic thing that a police station should provide. He added: “If I lost something you would hope that someone would be a good Samaritan and find the owner. From October 1, 2018, all police forces across the UK ceased accepting lost property reports. The police have said that people should now hand in lost property to the ‘relevant agency’ and that only items that are of ‘high value’ can be handed in. People are encouraged to report the loss to a relevant agency such as the Passport Office for lost passports. Mobile phones, high value jewellery and possessions, cash, firearms, ammunition, explosives, chemicals, toxins, poisons, drugs and medicine should continue to be handed in to the police so that they can either trace the owner or deal with the item safely. However on the Thames Valley Police website, it still states that if you have found a valuable item in a public place and you cannot find its owner, to take the item to a local police station or hand it to an officer or PCSO. It also states that if a foreign ID is found -which in this case it is – you must hand it in to the station or to a police officer or PCSO.